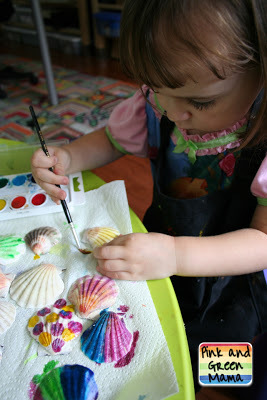 Keep those kids busy with crafty activities like painting seashells. 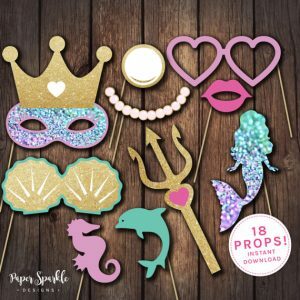 Stick with paper cut outs and make your own mermaid outfits! 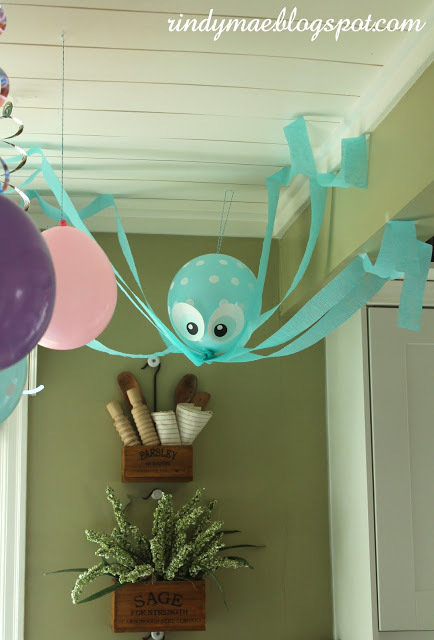 Bring the sea life to your party with these cute octopus decorations. 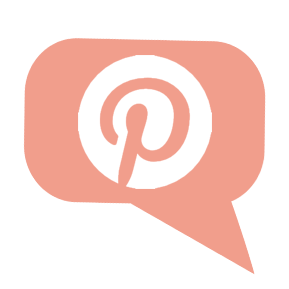 Dress up your guests and send them home with fun photo keepsakes to remember your party. 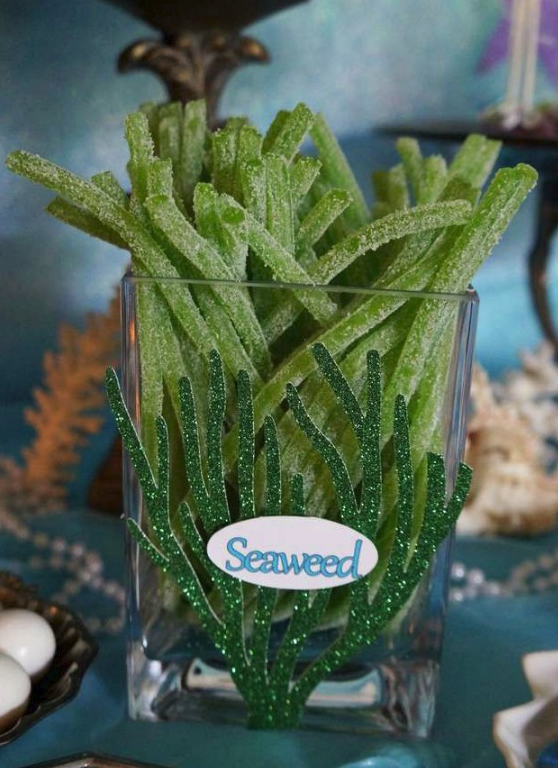 This is the kind of seaweed your guest are guaranteed to munch on. 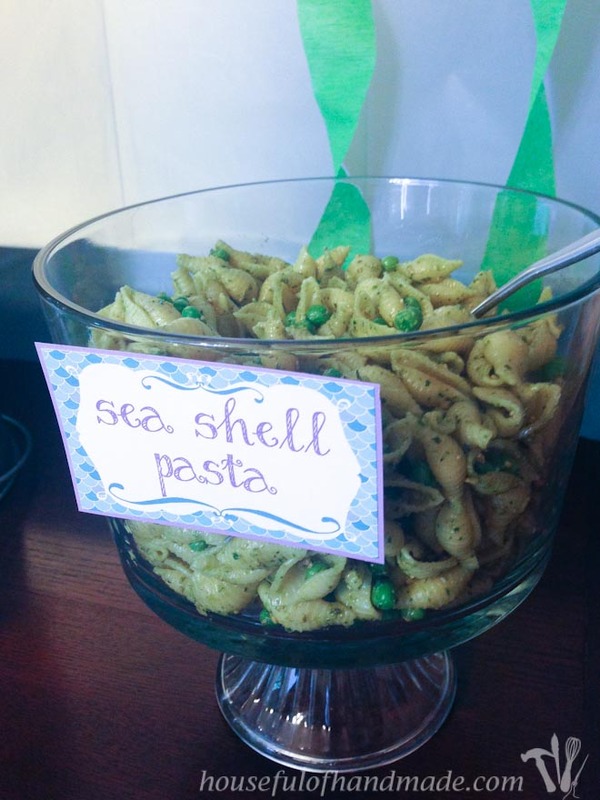 This yummy lunch is budget friendly, kid friendly, and delicious. 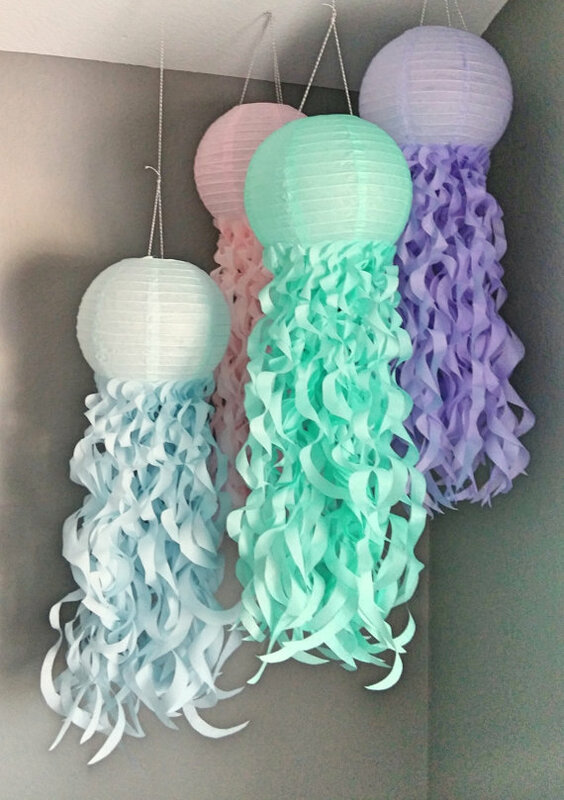 More sea creature ideas to decorate for the big day. 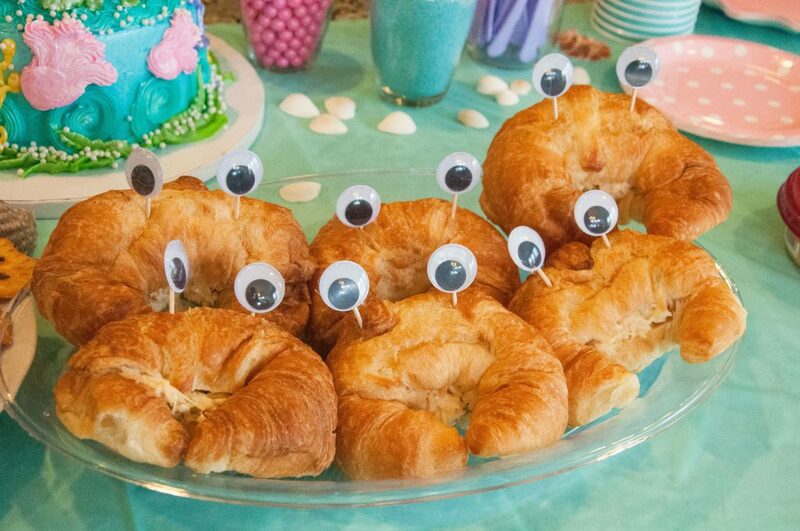 The crab shaped sandwiches can be suited for your party needs. Tuna, chicken salad, or crab salad? You pick! 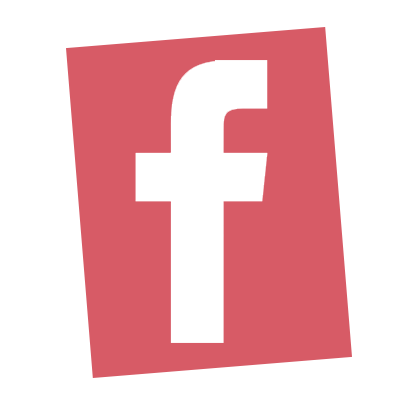 This is another fun party activity. 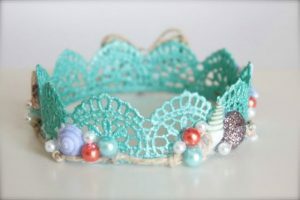 Pre-make the crowns the night before and let your guests decorate them. This crunchy, tasty treat is one you won’t have to feel guilty about. 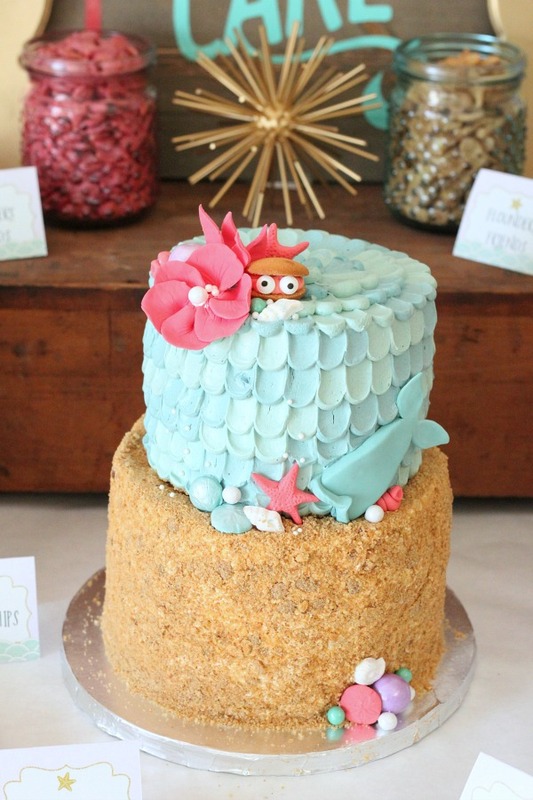 This gorgeous cake will make your birthday girl’s eyes glow.